In an effort of finding you the most reputable online casinos, we came across a relatively new platform, Red Stag Casino. We have reviewed all the essential points including software providers, payment options, games offered, security all and more in this Red Stag Casino Review. Red Stag casino is new yet popular gambling platform operated by Deckmedia N.V. (owner of Uptown Aces and Miami Club Casinos). The casino has been online since 2015 where it has carved a name for offering exciting games available via instant play, download version, and mobile platform. The casino offers games from Wager Gaming Technology (WGS) and you can either play in fun mode or real money. Lastly, all the games are fair and safe as Red Stag casino holds a license from a remarkable authority. Red Stag casino understands the benefits of partnering with a renowned software provider in the industry. This is why they offer unique games from WGS Technology. The latter is popular for supplying finely crafted video slots with exciting features and huge bonus offers. Moreover, the games have been developed in HTML5 coding technology which enables them to be played on mobile devices. 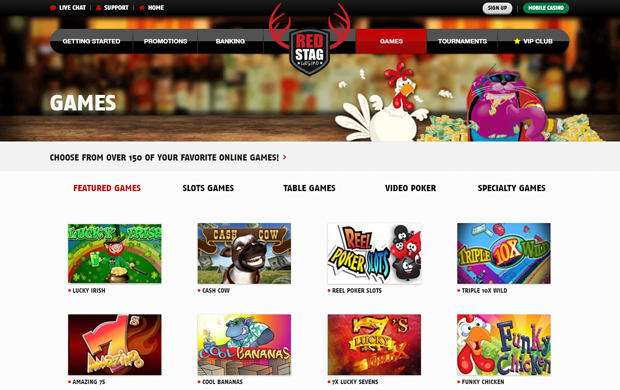 There are over 150 different game varieties to choose from at Red Stag casino. This includes popular slots, baccarat, roulette, scratch cards, live dealer, and progressive jackpot games. Slot Games: Crazy Cherry, Cash Grab, Triple Gold, Go for Gold, Fire Hawk, Eastern Dragon, Dolphin King, Doctor Love, Cool Bananas, The Last King of Egypt. All new players who sign up at Red Stag casino are guaranteed a welcome bonus offer of $2500 free which divided into a seven-level bonus structure. Players are required to make a minimum deposit of $25 and a maximum of $200. in addition, check out this exclusive $20 free chip no deposit required! This casino offers players up to 8 different banking options which offer fast and safe withdrawals. 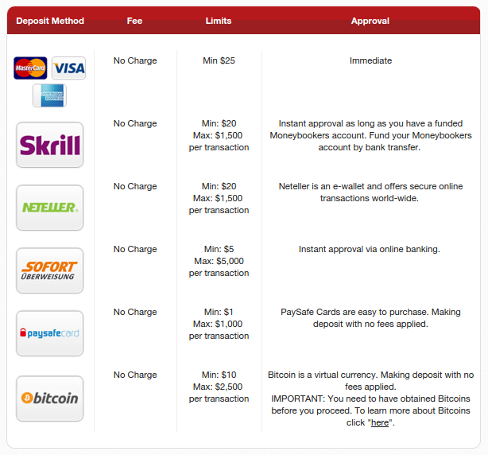 You can deposit or withdraw your funds via Amex Bitcoin, Mastercard, Visa, Neteller, Ecopayz, Skrill, Bank Wire, and Courier Check. All the player’s sensitive information and online transactions are protected by the latest technology of SSL data encryption from unauthorized persons. As well, all the games are tested independently by testing labs like iTech Labs and TST to ensure that they are fair. Red Stag holds a license from the industry’s respected authority, Curacao E-Gaming. Players can access help through three options at Red Stag casino. The live chat, email and Toll-Free Phone number options are available 24/7. In General, Red Stag casino accepts players for almost every country, Yes, including U.S players, however the casino does not accept players from these countries: Canada, New Jersey, Washington, New York, Missouri, Kentucky, Louisiana, and Maryland.